Hamin was recalling the puzzled looks he got from some bosses when he first brought up the idea that the automaker dipped its toes into the big data lake. This was probably before all the hype in the media about big data and many executives were still unfamiliar with the term. From an IT perspective, he said, Subaru was very good at determining what type and colour of cars were selling but the insight was more “backward looking” because it was based on figures from sales that have already transpired. Hamin wanted to introduce the use of predictive analytics and big data. Subaru’s data-drive, predictive analytics strategy is now underway. What Hamin is saying though is that, just like driving, you need to ease up on the gas once in a while. “What I should have done was just call it the next stage of BI (business intelligence),” Hamin joked. Times have changed since then. Hamin said this is the best time for a company to go into big data. There is more awareness, there are more providers and prices for solutions have gone down considerably. 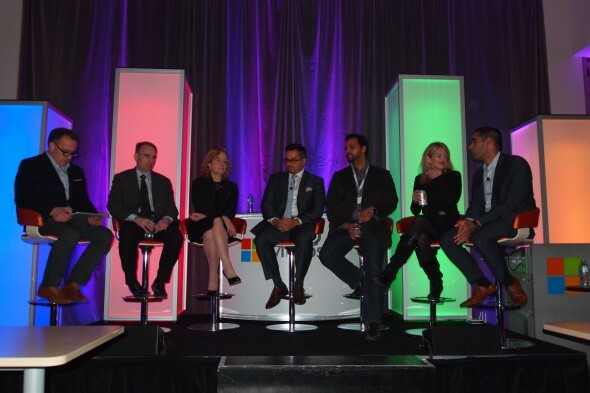 Hamin was part of a panel that spoke about big data strategies at the Microsoft Big Data Debate event in Mississauga, Ont. The discussion touched on the benefits of big data analytics as well as the challenges of getting buy-in from company leaders. With big data, sometimes the biggest hurdle is not achieving success as it is getting people to have confidence in it. It’s not always easy to get people to trust insights from pulled from models based on data coming from all sorts of sources including sensors, emails, and even social media chatter. 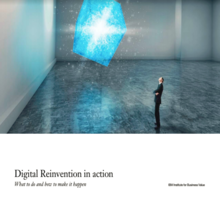 It’s very likely that proponents of the idea will encounter business leaders still steeped in traditional methods of obtaining market intelligence. Ramsay said big data proponents need to come up with a big data roadmap. In order to win over decision makers, it’s important to determine the main goals of the organization, said Richard Boire, founding partner of Boire Filter Group, a data management and marketing analytics consulting firm. In fact, he too has a problem with the term big data. Boire said companies should focus only on the type of data that has relevance to their organization, market or campaign. Rather than trying to sell decision makers on big data, he said the focus should be in “identifying the types of data that matter” to the company and its goals and then analyze and obtain insights from that. Utsav Arora, analyst for big data and analytics at IDC also recommends caution. Don’t let the hype distract you, he said. For some organizations, it might be useful to appoint a person or office that will take responsibility for big data projects, said Arora. “Initially big data was handled by the tech department, but that is slowly shifting away to line-of-business,” he said. This could produce friction in some companies so it is ideal to clearly delineate who will be responsible for big data. He said in many of the successful companies, IT and line-of-business collaborates on big data and report to a chief data officer.